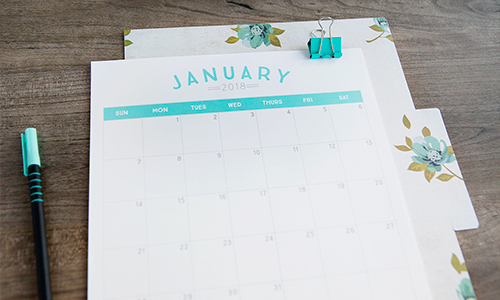 5 Simple Tips for stress-free Homework Time – Keep homework time stress-free with these 5 simple tips that have helped our family! 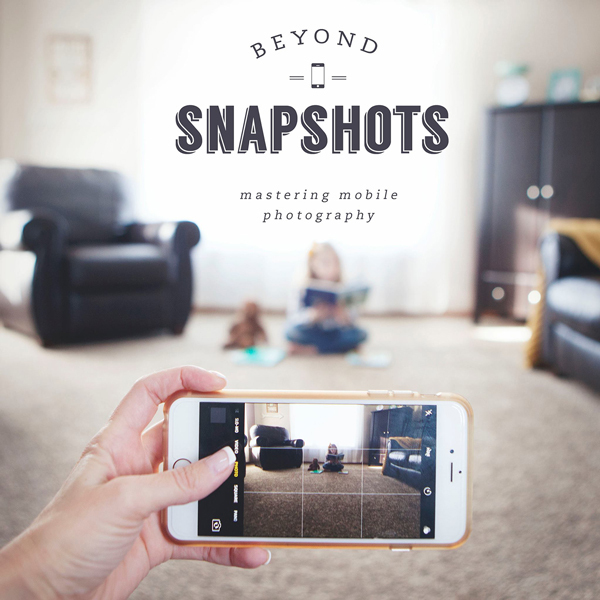 We all know how hectic after school time can be and getting kids to sit down and focus on their homework is a daily battle that we all have to face as parents. I’ve so been there! 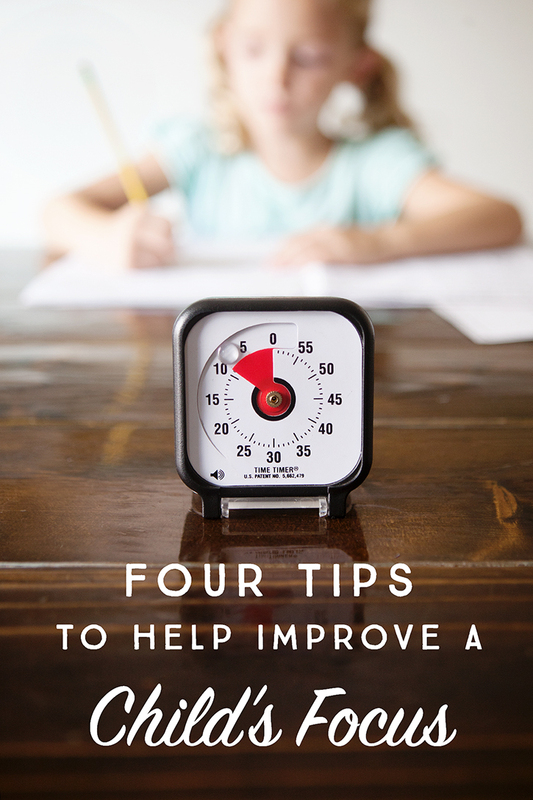 After nagging, reminding….even forcing my kids to sit and get their homework done for too long, we started to make some changes that have helped our family. 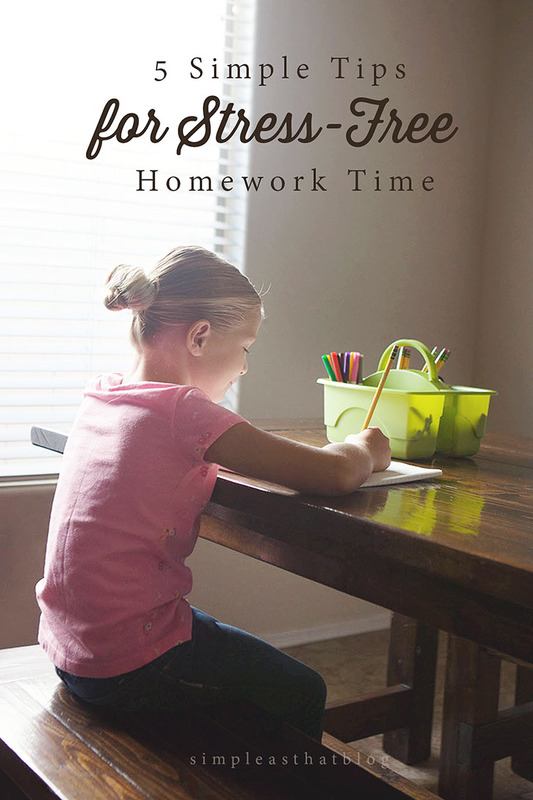 Below you’ll find some simple tips that have made homework time more manageable in our home. 1. Have a snack. Having a snack prepared for when the kids get home has made a big difference for us in cutting down on the chaos that comes with after school. I like to have a few healthy choices laid out on the table when the kids get home, my preschooler loves helping me set this out and when everyone arrives home I can focus on them and not snack. Snack doesn’t have to be elaborate. I like it to be something simple and healthy that the kids can eat while they work on their homework. Pretzels, apple slices, grapes, cheese strings. Sometimes I make a yummy batch of their favorite muffins. Getting the kids refueled after school is important and having a snack prepared ahead of time helps us get right down to business and get homework done! 2. 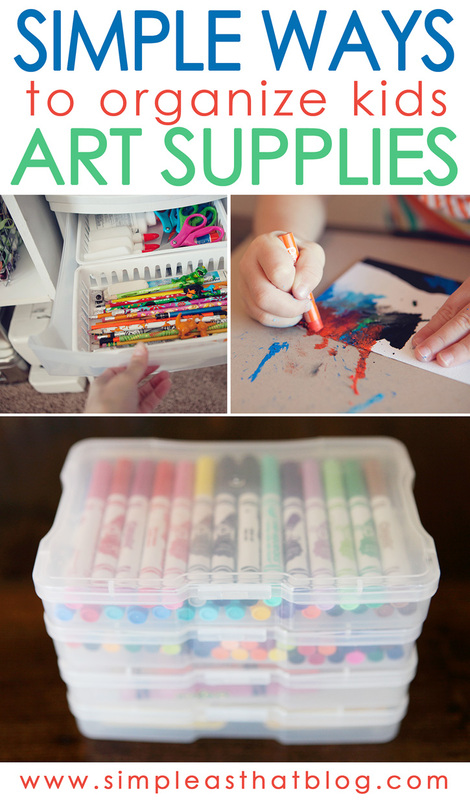 Keep Homework supplies Handy. Keeping homework supplies well stocked and in a central location has really helped us cut down on the amount of time we spend doing homework each afternoon and eased the stress of after school time. When the kids came home they used to spend 5 or more minutes searching for a pencil or other supplies they needed to complete their work, not to mention getting distracted at some point during their search. 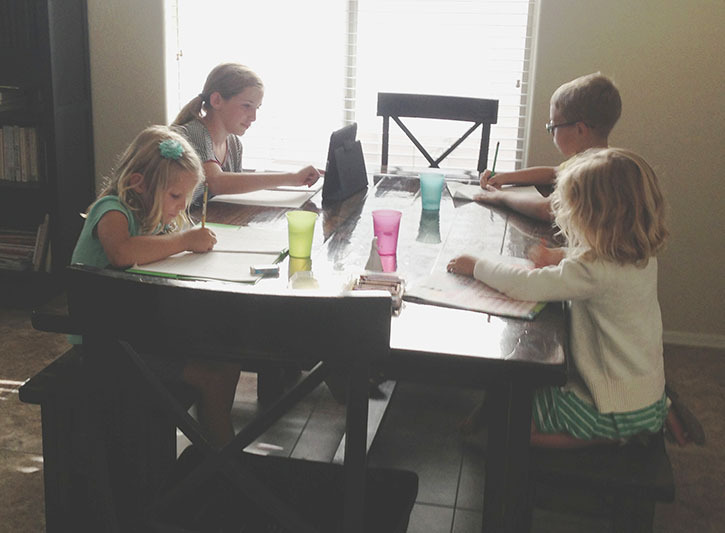 I set up a very simple and inexpensive homework station in our home that houses all things homework related – from filing the kids school paper work, to supplies like clipboards, pencils, erasers, crayons, rulers, etc. I keep these items inside one of the baskets in a medium size craft caddy. Everything is located right next to the table where we do homework and the kids know where to find everything they need. 3. Have clear expectations. Our kids know that when they get home from school it’s clean up and put away their school things, have a snack and complete their homework before screen time or playing with friends. After countless battles with getting kids to turn off the tv, or trying to gather them in from outside playing with friends to finish homework, this is what works for us. Without the distraction of tv or screens, homework gets done quicker and getting to watch a favorite show or go play with friends is just the incentive they need to stay on task and get their homework done quickly. 4. Activities for younger siblings. If you have preschoolers in your home it can be tricky to devote your time to helping older siblings with homework. What I’ve found works for my preschooler is to have an activity book set out with us at the table while the big kids do their homework. This is a special activity book that only comes out at this time of day and it’s become a special daily ritual that she enjoys! She loves feeling like she’s a part of everything and doing her “homework” with the big kids, all the while she is occupied so that I can focus my attention on the older kids. 5. Develop a routine. 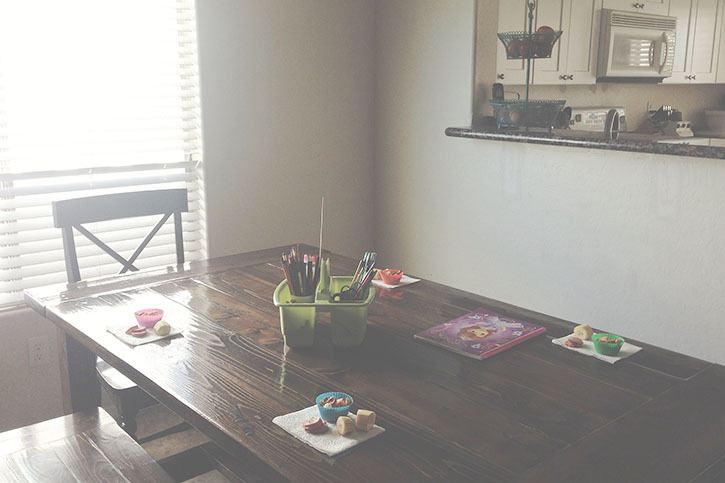 Find an after school routine that works for you and stick with it. The key to having a stress-free after school time for our family has been having a regular routine, which includes putting shoes, backpacks and lunch supplies away first thing when the kids arrive home. Placing homework and papers at their spot at the table where we do homework. 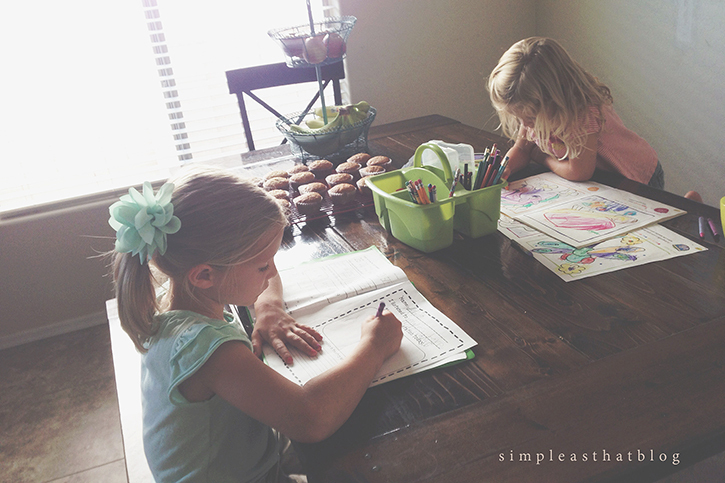 The kids sit down for snack and start on homework while they eat. We’ve fine tuned this routine and practiced it. We keep things the same and consistent and because the kids know what’s expected when they get home from school it’s taken the nagging from me out of the equation. 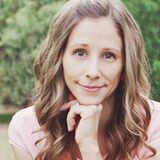 I hope these tips can help you to develop an after school homework routine that works for your family! 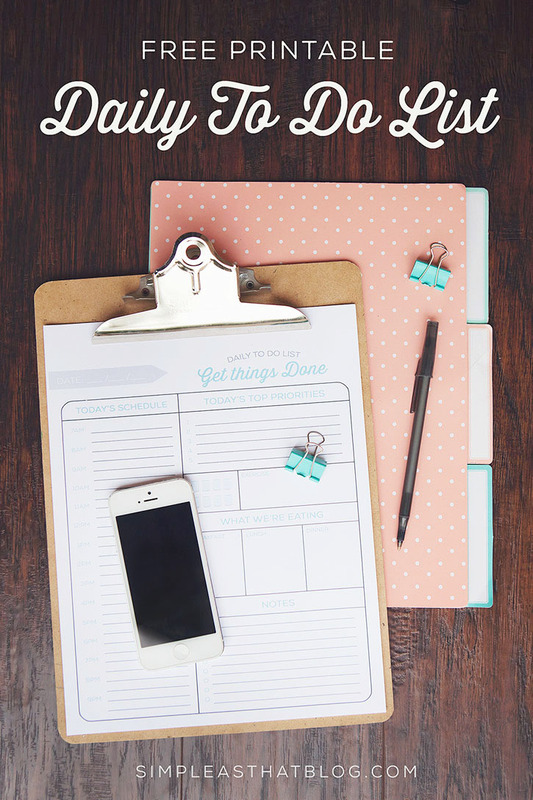 These are wonderful tips and great reminders. We recently cleared out our basement work area to make it more accessible and to accommodate the kids better, including shifting a bookshelf for privacy. It’s been ridiculous how it has helped keep the kids focused on the task at hand. GREAT tips! seriously, thank you! not that it’s rocket science or anything, but it’s hard to step back and think logically about how to make homework successful. thanks for the inspiration! Great ideas. We try to do the same thing at our house except we have to separate the kids or they distract one another. It’s been nice this year with my oldest in middle school because he comes home earlier and gets his work done before my daughter gets home. Routine is key and I can definitely see it paying off this year. Thanks for the reminders. Great tips, Rebecca. I especially like the one about having a snack ready when the kids get home. Great tips! Sometimes my son have tons of homework and lose his focus and enthusiasm in his work after sometime. I let him have 5-10 minutes break after every subject, but it takes us longer to finish all of his homework. What are your thought on this? Hi, I’m a teacher from Luxemburg and have three kids myself. These are great tips and they really do help taking the stress out of the situation. Here’s just one more important tip from me. Don’t let your kids watch tv or play pcgames as a reward after homework. For it is scientifically proven that anything screenrelated after you’ve studied for school prevents the just learned to find it’s way into longterm memory. The brain needs to stay active after learning, to help getting it into longterm memory. Reading, playing outside, drawing, puzzles, boardgames……Anything is good except for tv and pc, the learned will just vanish from the brain. Thank you for the great tips! It was very timely that I found your post. I have 3 children in school and we have been struggling with this. School has only been in session for 2 weeks and it has been hard to get back into the routine especially for my 4th grader. He will do anything to not do his homework. We don’t watch tv after school or before school, they don’t play outside but he will go play with his toys and not listen and it is causing some problems. It may seem drastic but I am planning on removing all toys to storage. If he can do his homework and chores like expected then after a week he will get something back. I’m just at a point with it where I don’t know what else to do. Wish it was ” SIMPLE AS THAT”!! LOVE the ideas but unfortunately I have tried I bet you EVERY idea on Pinterest. When you are a working mother with 2 girls both with ADHD, not to mention also 1 with dyslexia and some emotional/social anxiety and the other with SPD, it is not simple what so ever!! I envy you that can spend all day preparing what is to come after school lets out to make sure it is a peaceful evening with kids that actually sit at a table and do homework without a fuss and fight. God bless you!! 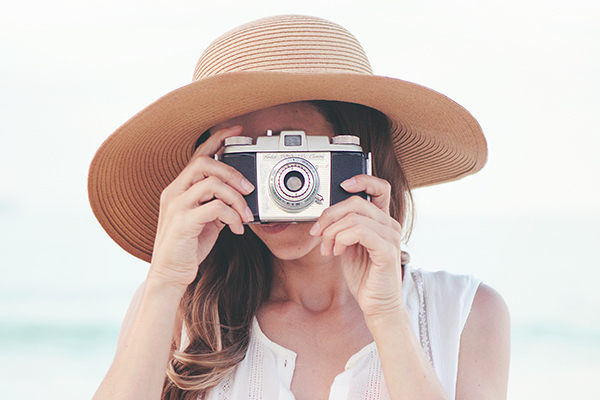 These are some wonderful tips! 🙂 I’ve suggested many of these to my homework coach clients. 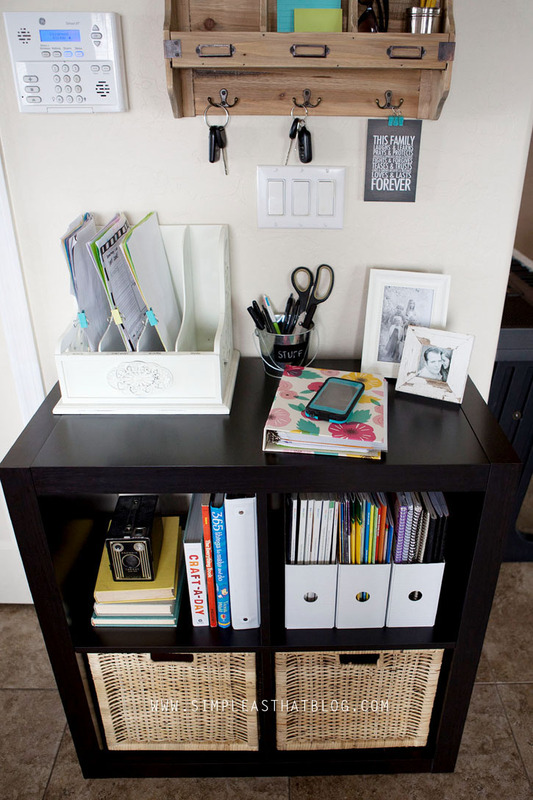 Having an organized space and daily routine can make such a difference! This is so great! Sometimes just having a simple routine like this makes all the difference, especially when kiddos are involved! Thanks for the advice and for sharing your routine in detail with us. 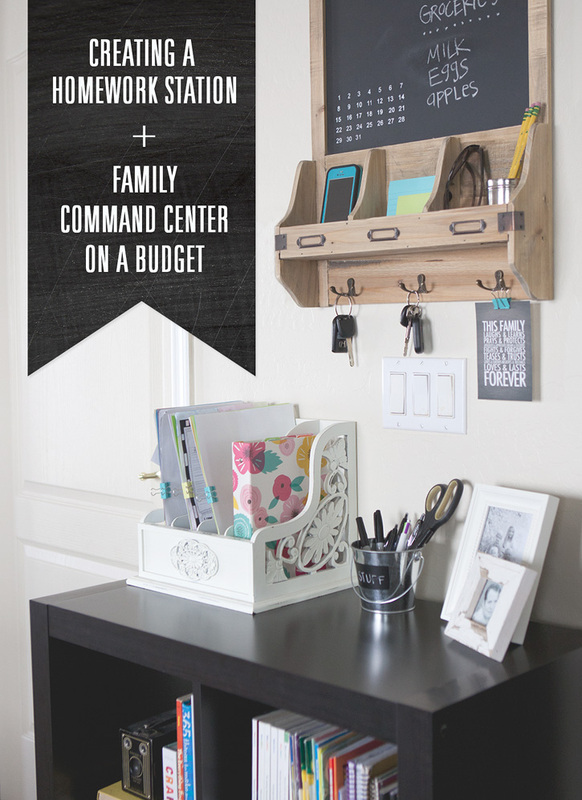 It’s nice to have the ideas of other families to inspire me to get more organized! Great ideas! Can I ask where you purchased the black storage shelf with the 4 cube shelves in your photo? Thanks! Where did you get that table love it!